A man serving a 20 year sentence arising from the shooting of publican Charlie Chawke has claimed he is illegally detained in an "alien" county where the people are "GAA supporters to a child". Frank Ward has been detained since 2010 in the Midlands Prison, Portlaoise, Co Laois. He failed in a High Court challenge claiming his rights were breached due to being detained in "internal exile" in a county "culturally foreign and alien" outside the geographical jurisdiction of the original sentencing court in Dublin. This detention came as a "monumental culture shock" to him, he claimed. In refusing an inquiry into the legality of his detention under Article 40 of the Constitution, Mr Justice David Barniville said the grounds advanced were "spurious" and "unmeritorious". There was "nothing unfair" or contrary to Mr Ward's fundamental rights in an order transferring him from Mountjoy Prison to the Midlands Prison, notwithstanding the people of Co Laois may be "GAA supporters", the judge said. Nor was there any basis for complaints of unfair geographical distance from the applicant's family as there were "excellent road and rail links from Portlaoise". The claim Mr Ward was internally exiled outside the geographical jurisdiction of the court that sentenced him, Dublin Circuit Criminal Court, has no merit, he ruled. There was also "no basis whatsoever" for claims the detention in the Midlands Prison breached the applicant's rights under the European Convention on Human Rights, including to liberty and security and not to have a heavier penalty imposed on him. 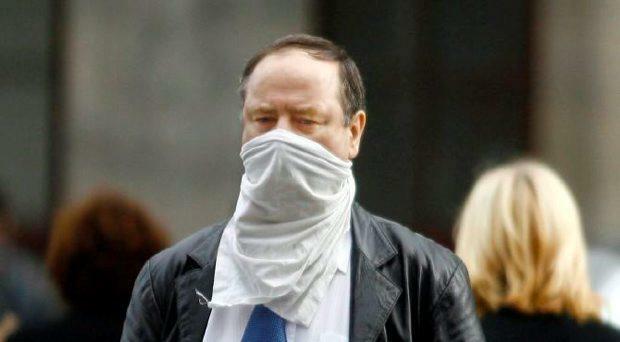 Ward, aged in his sixties, of Knockmore Avenue, Tallaght, was sentenced in October 2007 for his role in an incident outside Mr Chawke's restaurant and bar, The Goat Grill, Goatstown, Dublin, on October 6, 2003. Mr Chawke was seriously injured in the shooting and his right leg was amputated five days later. Ward was given two life sentences on charges of intentionally causing serious harm to Mr Chawke and robbery of €48,652 in cash and cheques. The Court of Criminal Appeal in January 2012 quashed the life sentences and replaced them with sentences of 20 years on each count, to run concurrently from October 2003. During his detention, Ward has made several applications seeking his release. In the latest application, Ward, representing himself, applied for an inquiry, under Article 40 on grounds the circumstances of his detention in the Portlaoise prison amounted to unlawful detention. He argued the 2012 warrant of the appeal court was addressed to the Governor of Mountjoy Prison and directed the Governor to take him into custody at the Dublin prison. There was no basis for an Article 40 inquiry, Mr Justice Barniville said.